Company director, Ross McTurk, comes from a family heritage of Blacksmiths, Farriers, Agricultural and Aerospace Engineers. He attended Reasheath Agricultural College and then Askham Bryan College, and has worked for 20 years in farming and agricultural engineering, with his family blacksmith business, followed by time with John Deere, Claas and Valtra Dealerships before setting up his own business in 2007. Starting from scratch, working from the back of his van, Ross has built up a successful business with excellent, large-scale fully equipped workshops, furnished with the latest diagnostics and up to date training. He employs fully qualified engineers and apprentice engineers in Felixkirk, North Yorkshire, just outside Thirsk (see map). 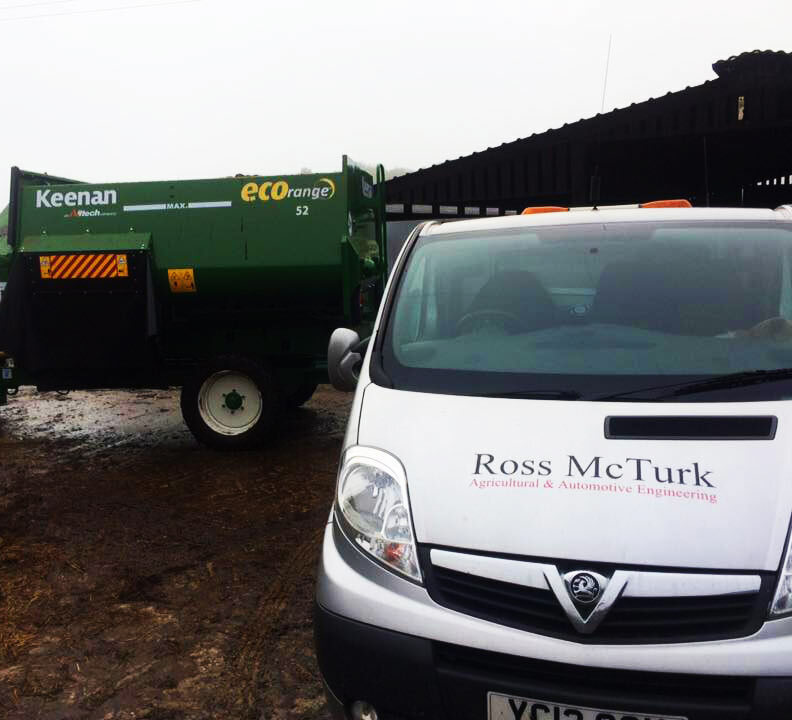 At Ross McTurk's we strive for excellence at reasonable prices, keeping up to date with the latest diagnostics and training available to us. With an aptitude for fixing, adapting and overcoming difficult jobs rather than just fitting new parts. From wood chippers to tractors, we make things work, analysing problems in detail, constructing repairs and offering high-quality solutions. This is what makes us stand out from other companies. Please feel free to call for more detail or to arrange a visit to our workshops.